Now with the original Porta Potti, Thetford’s porta potti portable toilet, you could be prepared for every situation. 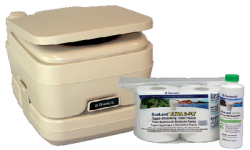 Porta potti’s are fresh water portable toilets that can be taken anywhere they are needed. They are sanitary, odorless, leakproof, easy to use and clean and durable and rugged. 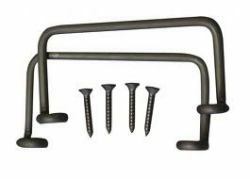 The two piece design, and the subsequent ability to easily separate the two tanks adds tremendous convenience and functionality. 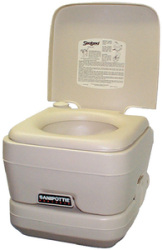 Thetford’s porta potti’s have many unique features; Including an exclusive rotation pour-out spout, and a pressure relief button to aid in no splash empting. 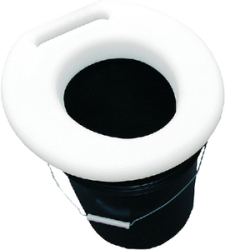 Porta potti’s seal to contain odors and prevent spills. It’s two halves detach and re-attach easily for convenience. It has a no fresh spills water cap, and a sealed slide valve simplifies flushing, while keeping odors in the holding tank. Lastly, the deodorant sample is included with each new porta potti. Thetford’s porta potti is easy to prepare for use. Simply take it to a fresh water source, fill the top tank with water, then add deodorant to the bottom tank. All three steps can be done with the two tanks together separated. To empty, separate the tanks and walk the bottom tank to the nearest toilet. There you’ll rotate the spout, remove the cap, press the air relief button, and pour the contents into the toilet. Recap, rotate the spout back into its place, and reattach the bottom tank to the top.